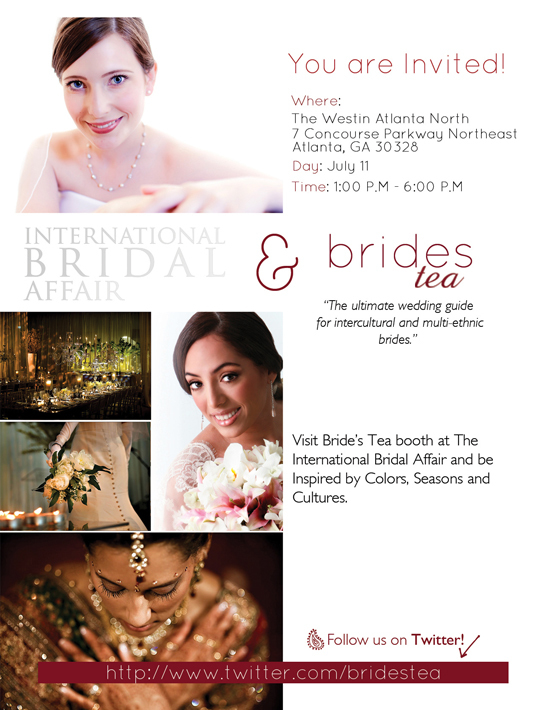 We’re excited to be a part of the International Bridal Affair, which will be held on Sunday, July 11, 2010, from 1pm to 6pm at the Westin Atlanta North at Perimeter (located at 7 Concourse Parkway Northeast, Atlanta, GA 30328). It’s a Free Admission Event. StudioWed will be designing several tablescapes and Papered Wonders, Inc. will provide stationery for one of them. Brides can bring their friends and families and they can register online at www.internationalbridalaffair.com. We look forward to seeing you there! ← First Comes Love, Then Comes Marriage, Then Comes Sylvia and Brice with the Baby Carriage!